CT004 has been chosen for the 2009 Preferred Choice Award! This award was given for its uniqueness, quality and popularity. • Pack size: 25" x 5" x 5"
• Peg: 6 steel stakes 5"
This play tent is durable, large and well worth the money! My grandchildren love it and play in it all the time! 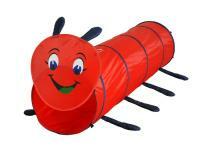 It was very durable and big enough for my 3 year old and 1.5 year old grandsons. The dog like it too! It is is lots of fun! 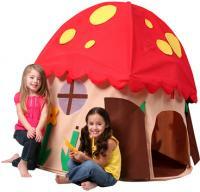 My kids love this tent! My 5 yr old daughter alternates between calling it her castle tent and her circus tent. It's large enough for an adult and child to be in together. All 3 of my kids, 2 boys are 7yr old boy and my 5yr old can play in it together. It's great for camping out in the living room too! The materials are good quality and it was very easy to set up. 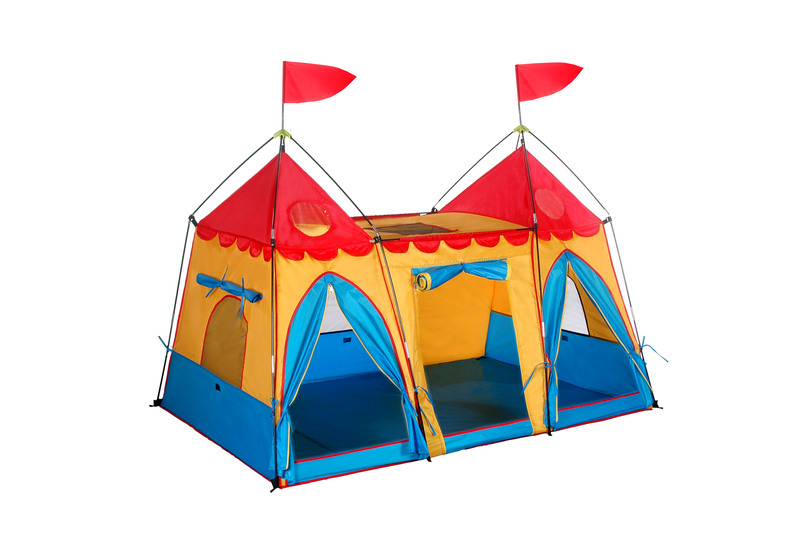 We like the tent, however the two red flags for the top of the tent were not included in the box. (I finally gave it to my son for his birthday, we assembled it together, and no flags). Otherwise we like it. I bought this tent for my niece who is 6 yrs old. All in all the product is well built. One word of advice though. This isn't like the play tents that are made for inside the house. We had to mount the tent on a piece of plywood in order for it to stay up. Since it is long, the poles make a cross on both ends. When it is set up inside the house there isn't any way to keep the floor of the tent spread out and one end or the other will fall. Kinda hard to describe what happens. It comes with little stakes for pushing into the ground outside to keep it spread out. If it had some sort of poles around all 4 sides on the bottom it would be PERFECT! The plywood worked, but if you have to do it this way, be prepared to leave it wherever you decide to put it up. Moving a huge piece of plywood isn't easy!! The size of this tent compared to others made for the inside is great though. 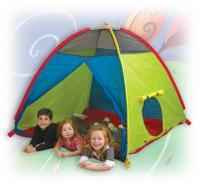 It has plenty of room for more then one child to play comfortably and makes a great place for the kids to "camp". :) My niece absolutely loves it and lures her 1 yr old brother in all the time. A great product all in all but be aware of the issue if you plan on using it inside. Very nice tent. It goes together pretty easily and is constructed well.